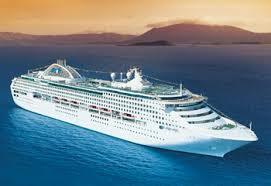 I have cruised on the Dawn Princess twice and both times have really enjoyed the experience. One cruise was the normal Pacific islands route and the other was part of a Round the World cruise. I will go one step further and say that Dawn Princess is the friendliest large style ship I have ever been on. On the latter cruise there was a tremendous spirit amongst the passengers and this made the cruise so much more enjoyable. 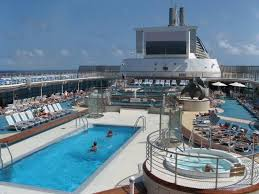 The fact that most passengers were 50 plus, were experienced cruisers and enjoyed mixing with others was a major reason for the ship’s great ambience. Another contributing factor is the crew which is exceptional. I was made feel welcome everywhere I went on the ship. Dawn Princess has lots of deck space so it is easy to join in the fun on deck or find a quiet spot to enjoy that “can’t put it down” novel. 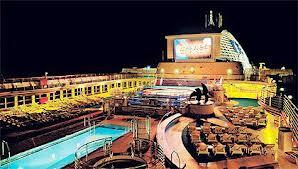 The ship has a wide range of public rooms and bars and most have entertainment available. There is even a grand piano in the atrium and each night a string quartet performed. The bottom floor of four-story the atrium has a patisserie which makes good coffee and there is a friendly bar available with 20 brands of international beers. Sweeping staircases give the whole area a great feeling of luxury and elegance. 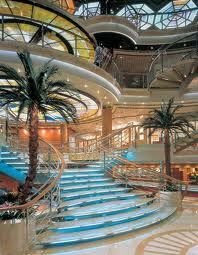 The ship has a full walk around a promenade deck which is unusual these days. The Lotus spa was popular with the ladies who enjoy being pampered. The Wheelhouse Bar is a feature of most Princess ships and has dark teakwood and lush furnishing, complete with ocean orientated artwork. While not overly spacious, the cabins have plenty of storage, a walk-in wardrobe and a separate bathroom. We had an outside view cabin with a large picture window. There is a TV and fridge plus a desk that doubles as a dressing table and computer desk. The passengers on Dawn Princess are mostly over 50 and everyone seems to get along well. Mature passengers aren’t in a rush to get ahead in queues or to get ashore which makes for a more pleasurable relaxed cruise. The staff on board this ship are the friendliest I have encountered on board a larger ship. Cabin stewards were efficient and friendly. The only down side was the service on shore at the various island stopovers. There seemed to be a lack of people and transport which was chronic on a couple of islands. Every ship should have a team of experts on shore to help passengers not undertaking a shore tour. There are three meals a day served in the two restaurants or you can choose the Horizon Court smorgasbord. Get there early as it gets packed. The Sterling Steakhouse has premium restaurant style dining for an extra charge and La Luna Chinese restaurant is also an excellent dining experience for a few dollars extra. 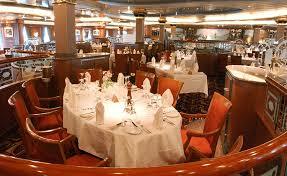 Meals in the restaurants at night are generous with five courses and very much follow the style of most Princess ships. The wine list is limited but well priced. Princess shore tours are always well organized and leave on time. In Pago Pago we did an enjoyable half day island tour which took us to places off the normal tourist routes. Like all Princess ships, the entertainment on board was of very high quality. There are two showrooms. The auditorium style Princess Theatre hosts the stage shows and the musical guest stars. The Vista Lounge at the other end of the ship had some excellent comedians and cabaret style acts. It also doubled as the general entertainment lounge during the day. Everything from Zumba exercise classes to trivia, bingo and cooking displays saw the room constantly being used all day. Mornings were packed with people enjoying the sun. This made it hard to get a deckchair near the pool. However at lunchtime there was a general exodus and in the afternoon there were plenty of deckchairs available by the pool. 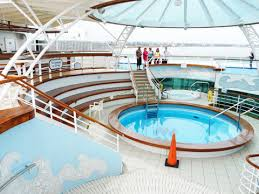 An alternative was to go up to the stern where there were plenty of empty chairs and a plunge pool was available. A huge outdoor screen showed movies all day and at night we were able to watch Rugby League matches live from Australia under the stars. Dawn Princess has competitive pricing for its shorter tours and compares favourably with other cruise ships operating out of Australia. Being a newer ship, it offers a higher standard of service and facilities than its P&O cousins Pacific Dawn and Pacific Jewel. I would highly recommend it for mature travelers.